"The heritage hotel in Shimla, Wildflower Hall is reconstructed to provide ethnic features of age-old Colonial architecture and provides guests with international standards of services. The traditional charm and the modern living becomes one in this hotel. 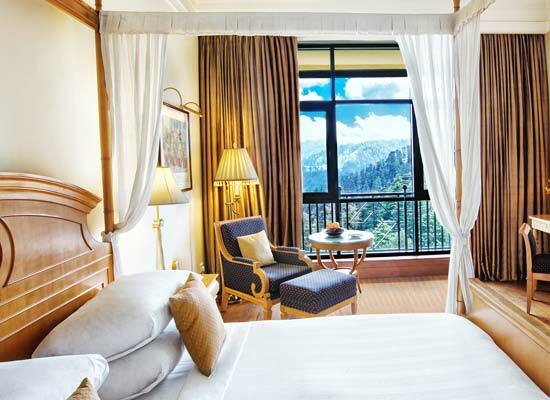 Situated amidst serene mountains, a stay in here is like a fairy tale coming to life. In early days, Wildflower Hall was the country escape for British Viceroys and top-ranking British officials. Between 1976 and 1880, the property was owned by G H M Batten. Wildflower Hall gained popularity when it was owned by illustrious resident Lord Kitchener who was given the title of "the greatest Commander-in-Chief that India has ever possessed". The hotel landed into the hands of Indian Government, and by 1993, the renovation of the building was started. After five years of hard work, Oberoi Wildflower Hall was converted into a luxury heritage hotel of India. Every corner of the hotel is designed to pay tribute to the elegant Colonial architecture of the original building. Premier Garden View Rooms: These rooms are fitted with large windows giving breathtaking garden views. 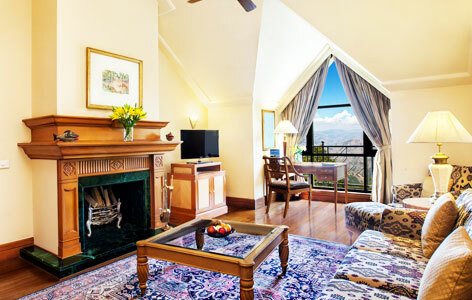 Premier Mountain View Rooms: These rooms provide guests with magnificent views of Mountains. Deluxe Suites: These spacious suites have an additional bedroom and living room. The exotic fireplace makes a stay in these rooms warm and cozy. 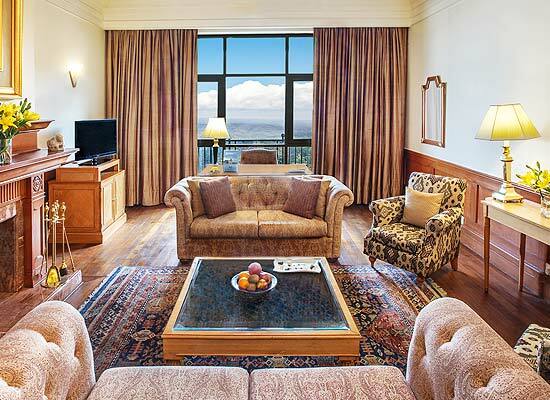 Lord Kitchener Suite: The Kitchener Suite offers the best possible views of Himalayas. The Restaurant: This is where guests come to enjoy multi-cuisine delights featuring Continental, Pan-Asian and Indian dishes. 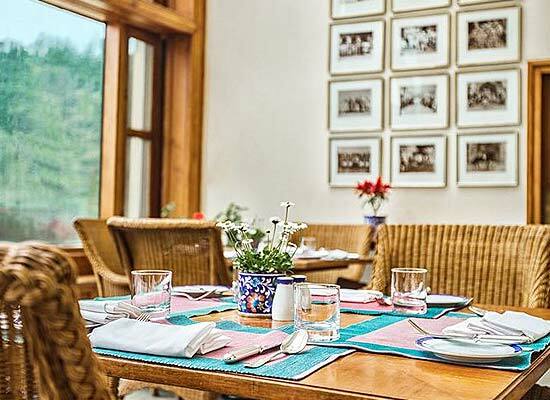 Lutyens: The large garden restaurant is ideal for tasting barbeque delights along with beverages and international fares. The Cavalry Bar: The sophisticated colonial bar features exotic drinks from all around the world. Shimla once existed as the summer capital of colonial British. 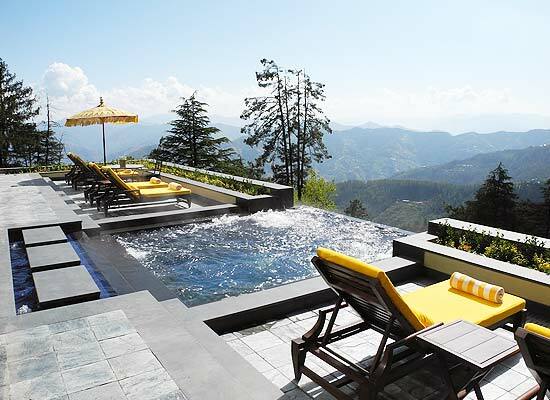 Situated in Himachal Pradesh, the gorgeous hill station is the most preferred honeymoon destination for every newlywed in the country. Also, numerous adventure activities such as mountain trek, mountain climbing, ice-skating, ice-skiing and other adventure sports make this a favorite haunt for those who are looking constantly for adrenaline pumping affairs.